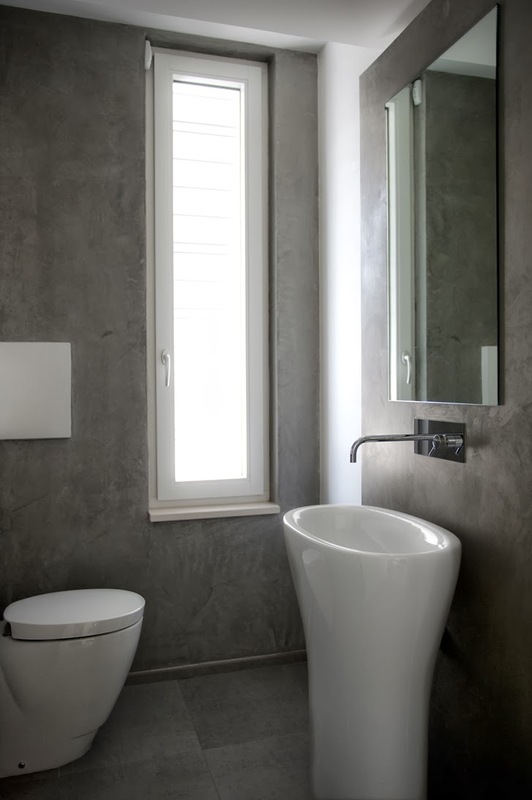 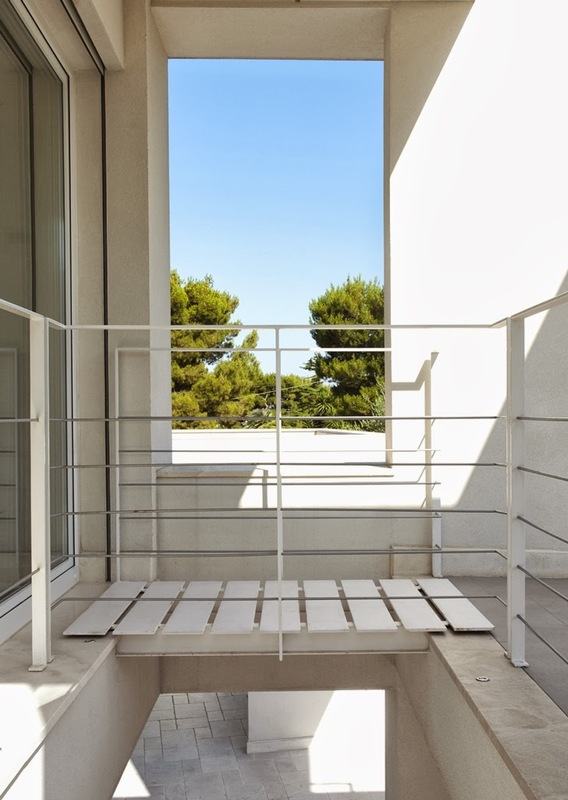 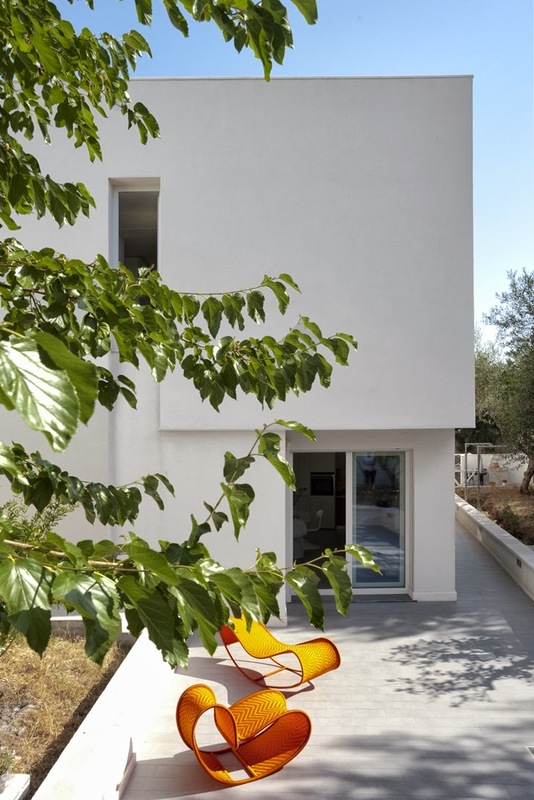 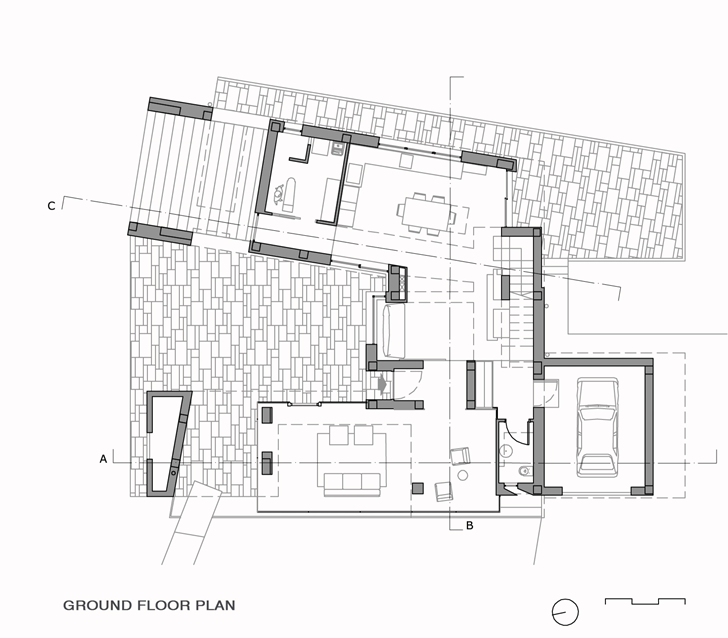 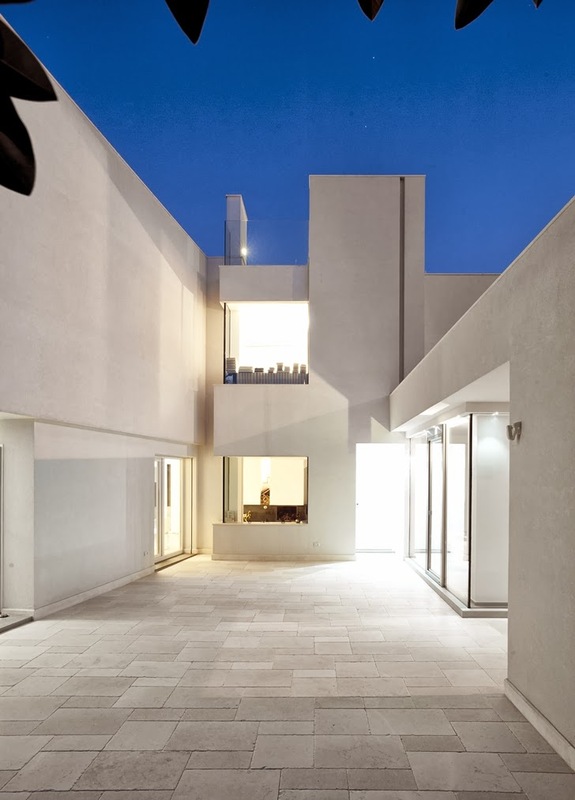 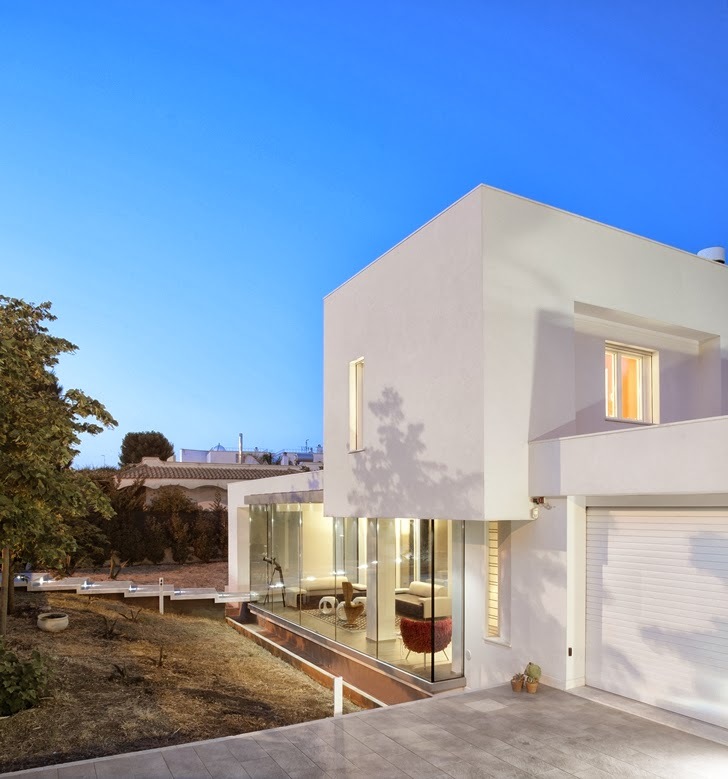 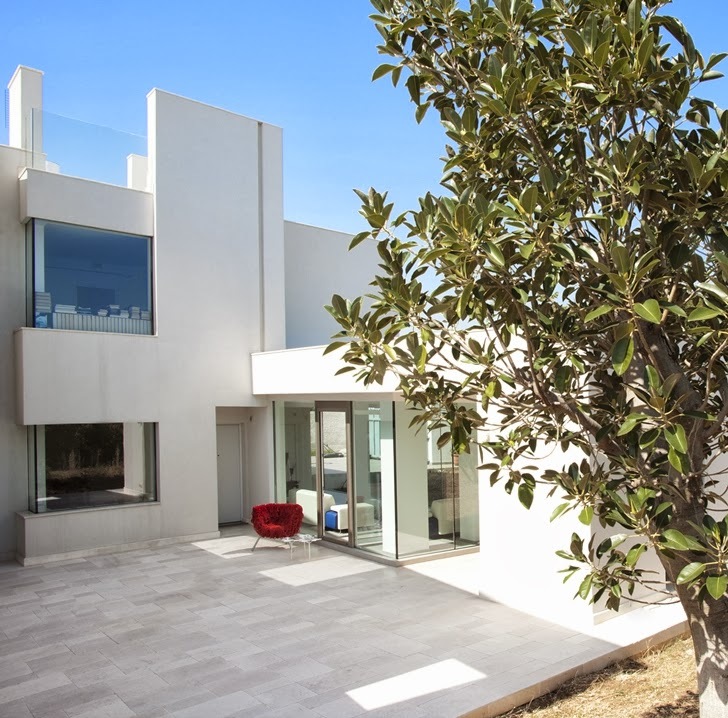 Villa di Gioia is modern minimalist villa designed by Pedone Working in Bisceglie, a town on the Adriatic Sea, in the province of Barletta-Andria-Trani, southern Italy. 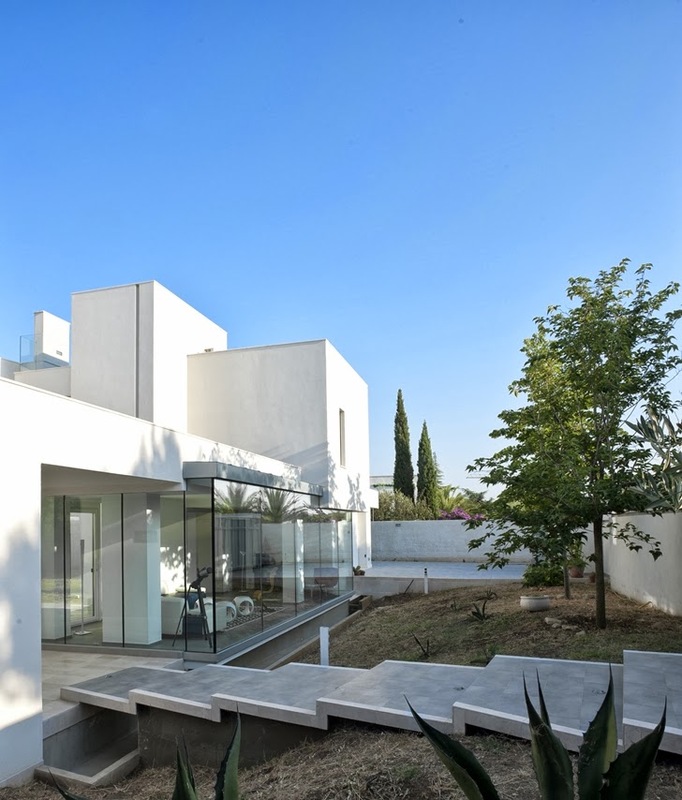 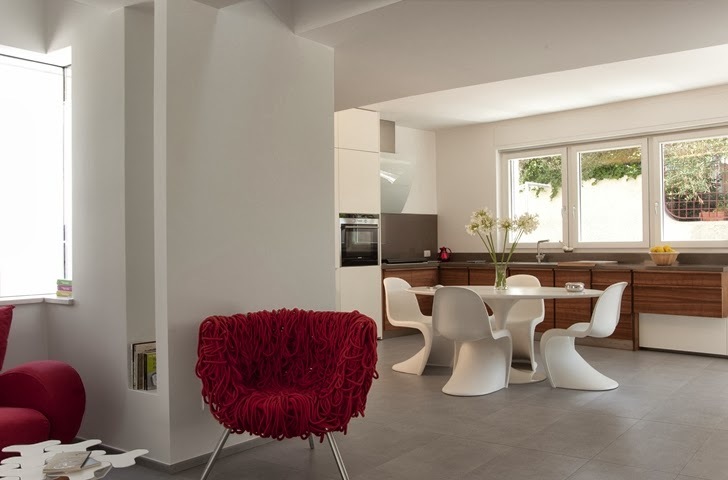 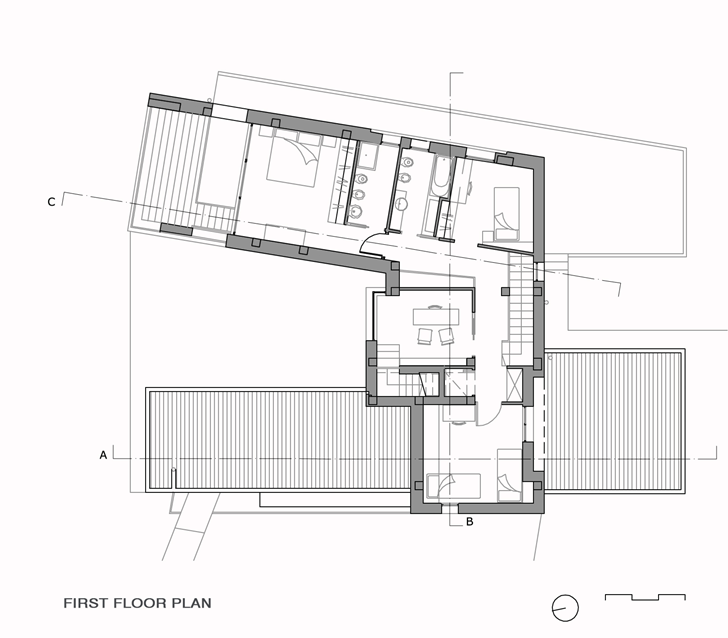 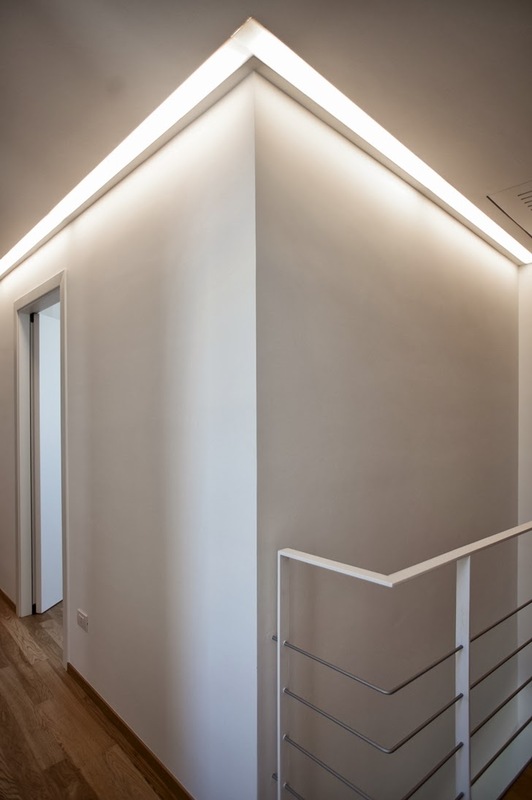 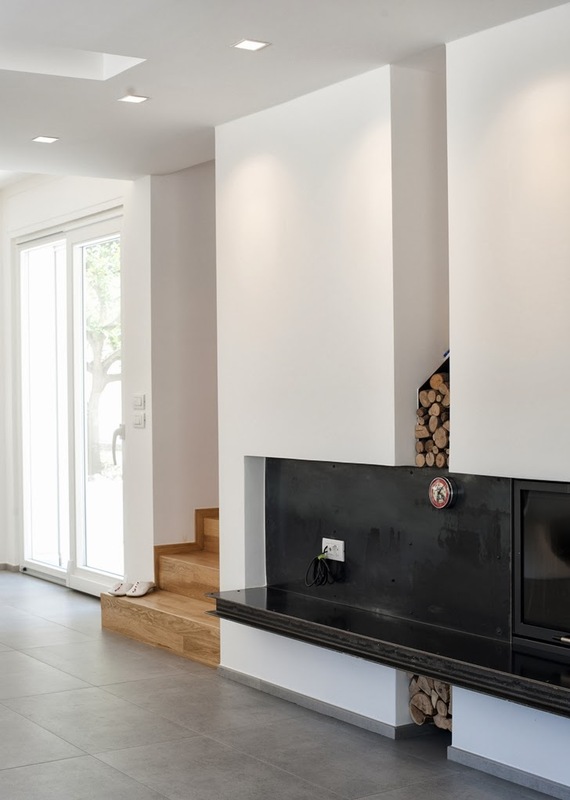 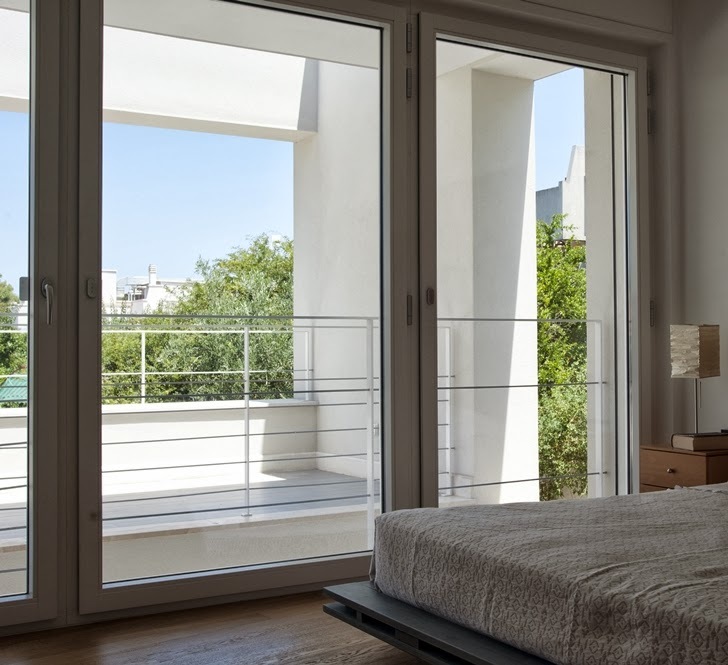 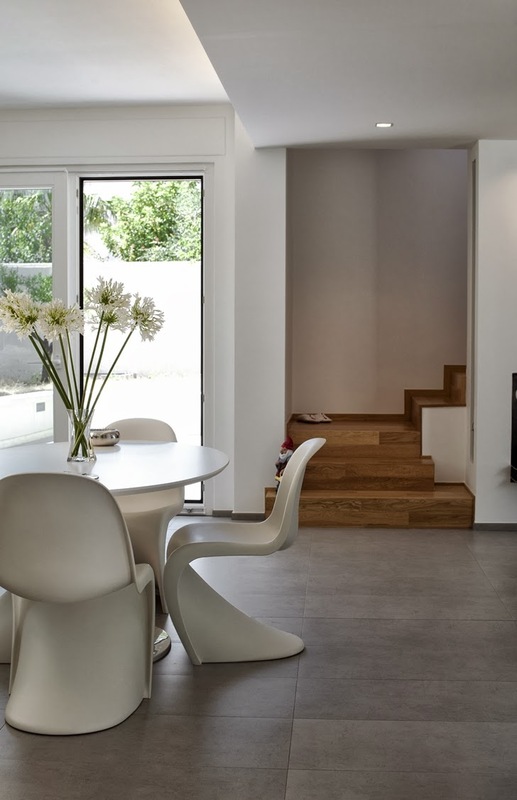 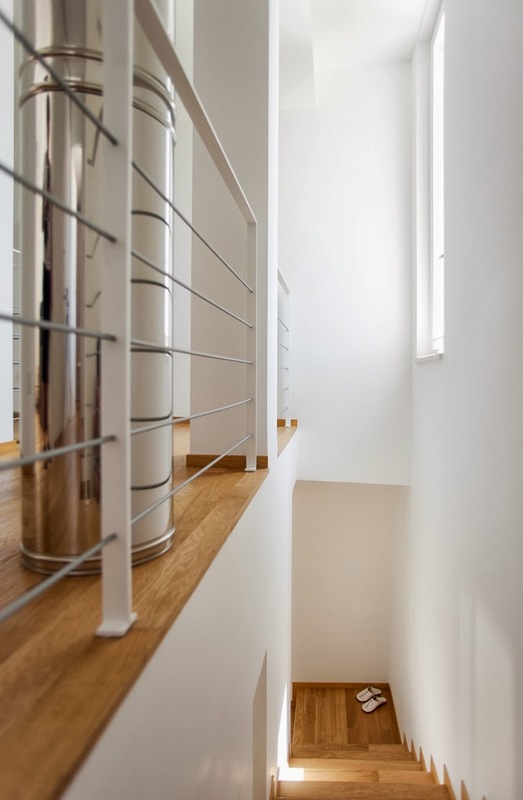 The house is designed in pure minimalism, offering very clean and simple interior and exterior design. 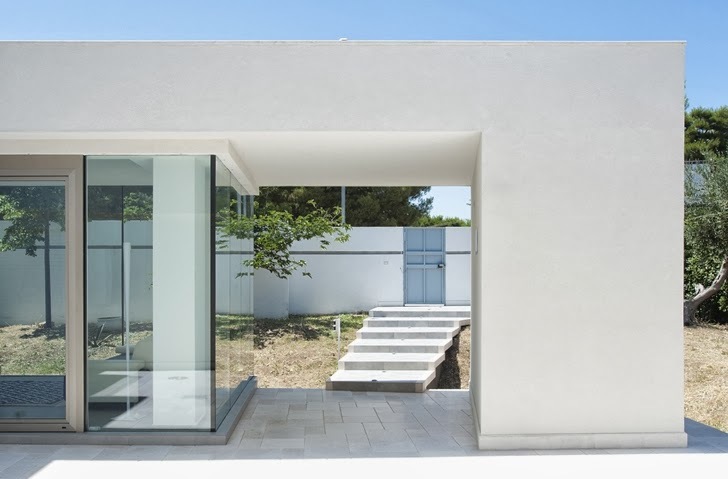 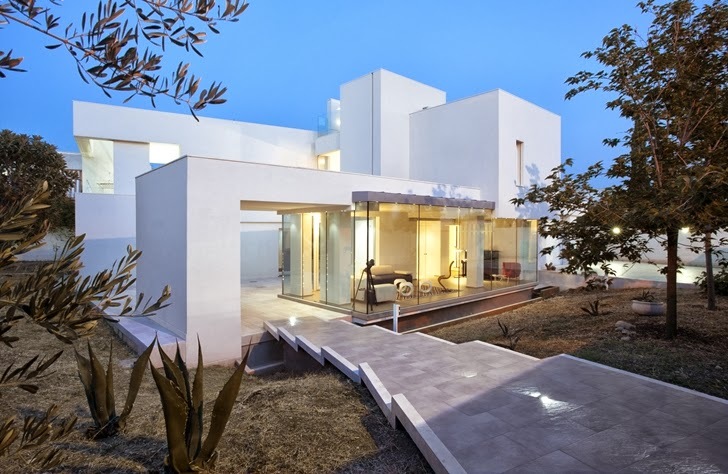 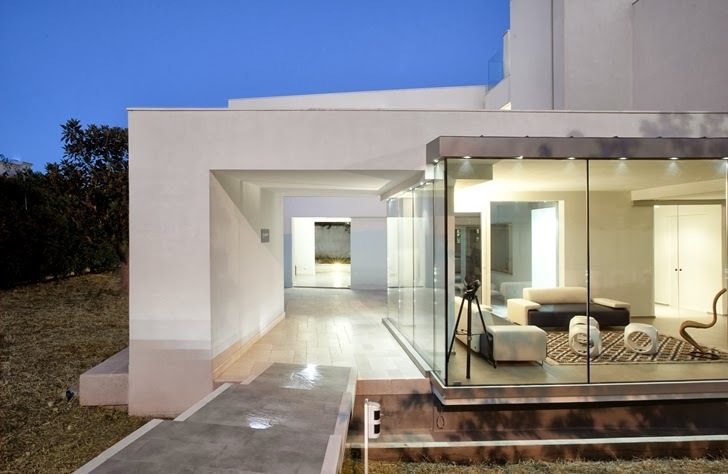 Facade consists white concrete walls with huge glass windows. 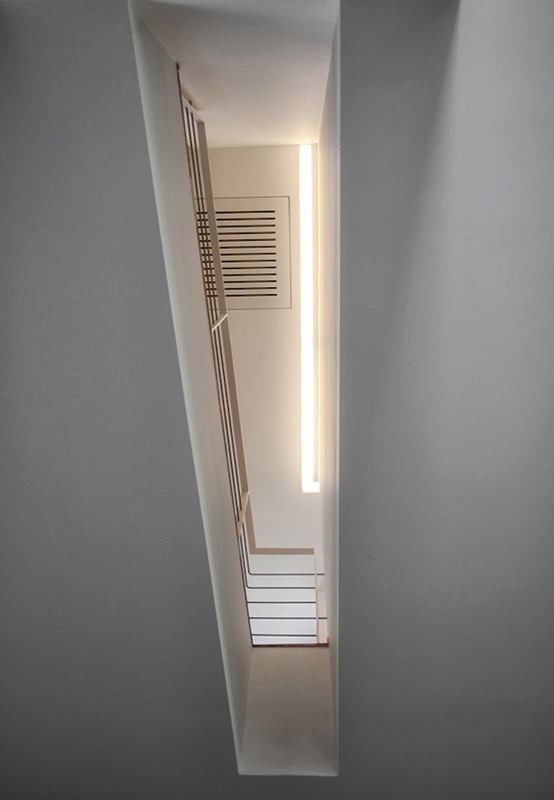 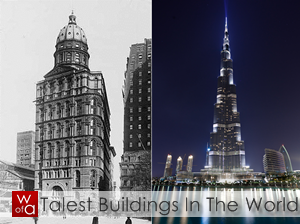 Unusual and a little bit unexpected shape gives very interesting atmosphere.